The four reports contained in this volume cover a timescale of more than 1500 years. 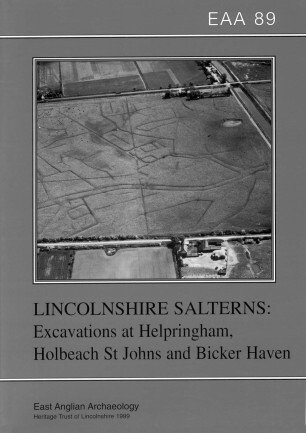 The Iron Age salterns at Helpringham contain an unknown number of hearths with associated mounds, now almost ploughed away. In the Iron Age the sea reached this low-lying area which is now 24km from the coast, human activity and nature having combined to create a new landscape in the intervening centuries. There is a large body of evidence for considerable salt-making activity several centuries after the Helpringham salterns ceased operating. Two reports deal with a microcosm of the Romano-British salt producers at Holbeach St Johns. 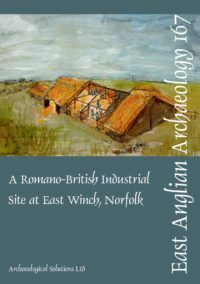 The final report, describing a salt-making site at Bicker Haven, takes the process forward into the middle ages and demonstrates how much salt-making methods, as well as the landscape, had altered during that time.